​This is a promising route for specialized marketplaces like Etsy. Think of them like service providers: The first and most important ‘service’ they provide to merchants is distribution. But why should the services provided stop there? Before payments services, the implementation of promoted listings was a big driver of revenue. ​Done right, this is a win-win situation. The marketplace companies open up doors to new revenue streams. The merchants get professional services that are provided centralized at scale. At least in theory, those services should be of higher quality than what a small merchant could cook up on their own. More importantly though, a marketplace company like Etsy can provide services that are only possible on an aggregated level. How does Fund on Etsy help sellers grow their businesses? 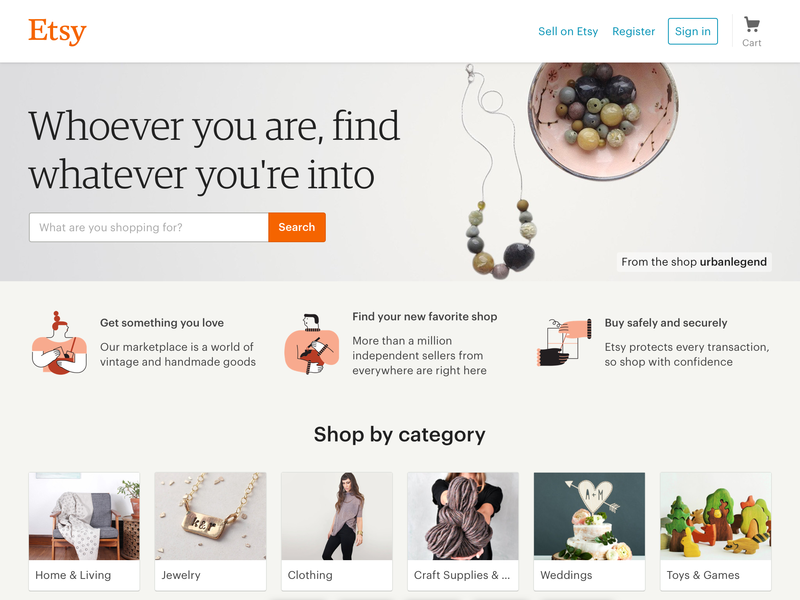 Fund on Etsy is launching as a US-only pilot program that will last from June 16 to August 16. We have selected a limited group of sellers to launch campaigns throughout this period and will be gathering feedback to determine our next steps. Stay tuned. Amazon launched Handmade, a direct competitor to Etsy, a year ago. By providing serices beyond the usual distribution model of marketplaces, companies like Etsy are not only opening up new revenue streams. If they create value for the whole ecosystem they operate in, those services act as a moat against generalists like Amazon as well. In other words: If Etsy caters successfully to the needs of producers and sellers of handmade goods with services at every stage of the production and the process of selling, everybody wins. Etsy reported a few days ago 33% revenue growth for Q3 2016. In September, Etsy also bought Blackbird, a little-known, young machine learning startup. But who doesn’t these days.